People who suffer from MS frequently have fatigue. This can make doing everyday activities tiring, but with a little planning you can conserve energy. Think about everything you do in a day around your house. Do you put on makeup and do your hair in the morning? Do you chop vegetables as a regular part of your meal prep? Do you pay bills or work on the computer? 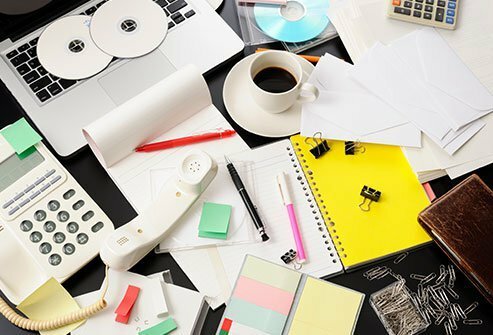 You can designate a work station space for every activity that you do to minimize the energy it takes to carry out these tasks. 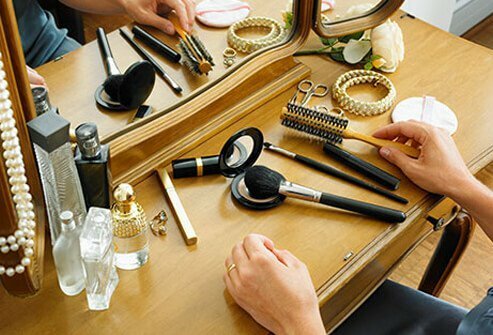 Put your hair dryer, brushes, combs, and makeup all in one place to make getting ready in the morning easier. 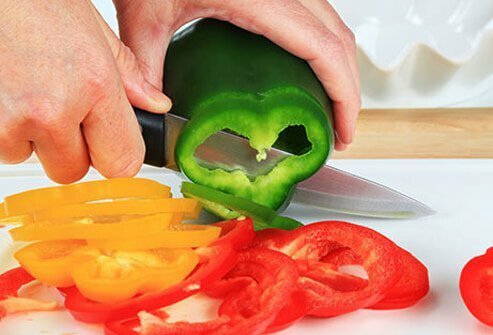 Keep a cutting board, knife, and peeler in a designated area in the kitchen to make meal prep a cinch. Setting up work stations aids in the prevention of unnecessary and tiring energy expenditure. It will make doing daily tasks easier. Multiple sclerosis may make it hard for you to reach up high or to crouch down low. Take your limitations into account and set up your space according to your ideal work zone. If it is hard to kneel down and get pots and pans out of a cabinet on the floor, store them on the countertop. 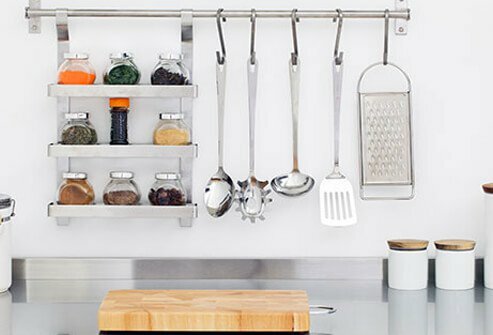 If it is hard to reach utensils that you keep up high, relocate them to a lower, easier-to-reach space. Use storage carts, hooks, hanging baskets, and pegboards to organize items you use frequently and make them more accessible. If you are in a wheelchair, your optimal work zone begins between 15 to 16 inches from the floor and ends at about 51 to 52 inches from the floor. If you are standing, the zone extends from approximately knee level to just a few inches higher than your height. You should do activities within this safe zone for safety reasons to protect your health. When you have MS, injury prevention should be a top priority. Velcro strips are very handy and have innumerable uses. Use Velcro strips to keep wires and electrical cords out of the way. Use Velcro to secure pads of paper and pens in easy-to-reach spots. Stick Velcro on the back of the remote control and coffee table so you will never lose it in between the couch cushions again. If you walk with a cane, secure it to the wall with Velcro so it does not fall on the floor. Velcro comes in a variety of shapes, sizes, and colors to suit all of your needs. Do you use a walker, wheelchair, or scooter? If so, your doorways need to be at least 36 inches wide for outside doors and 32 inches wide for inside doors. Special expandable door hinges are available that may be enough to help widen doorways. 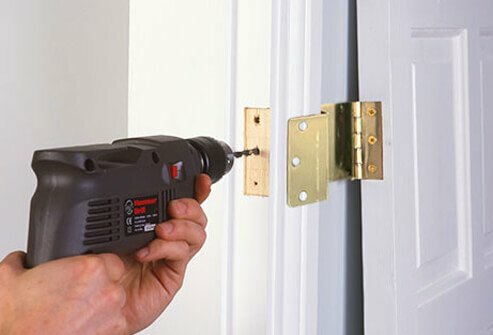 Another option is to remove interior doors and door frames altogether. Move furniture out of the way, and widen paths so you can move easily about your home. When you are rearranging furnishings, make sure you do so in a way so you can get to light switches and thermostats easily. The bathroom is one area where you may struggle if you have MS. You can make things easier by making a few modifications. Install a raised toilet seat to make getting up and down from the toilet easier. Some raised toilet seats even have armrests for added stability. Install grab bars in multiple locations like the shower, tub, and near the toilet so you have something to hold onto to steady yourself. 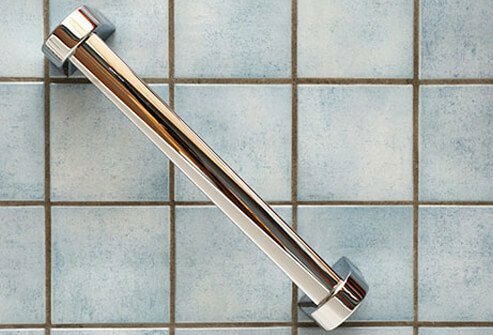 Grab bars come in a variety of sizes and finishes to suit any decor. You can put a built-in or a fold-up bench in the shower stall or tub to make bathing easier. For extra fall prevention, put a nonskid mat in the tub. Soap and shampoo in the tub make the surface slippery. Put a bath mat outside the tub to minimize fall risk after getting out of the tub or shower. Adults with MS should exercise extra caution in the bathroom. Many falls at home happen in the bathroom, but they are preventable when you take precautions and eliminate hazards. 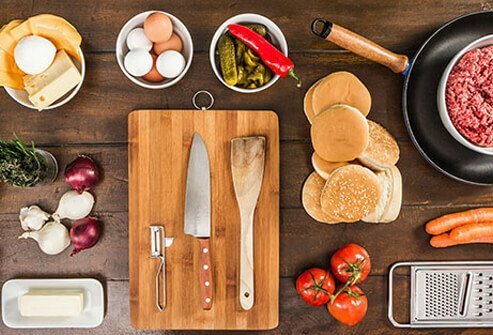 Making meals may be stressful and take up a lot of energy when you have MS. You can make things easier by following a few simple rules. Use a rolling cart to load up all the ingredients you will need for a meal before you begin. That eliminates trips back and forth between the counter, refrigerator, and pantry. Use tools and utensils that have easy-grip handles if you suffer from weakness or tremors. Do not store heavy pots and pans either up too high in overhead cabinets or down low in cabinets on the floor. Keep them on the counter so they are easy to reach. It may be hard to grab or turn doorknobs when you have MS. If that is the case, replace standard doorknobs with handles that are levers. 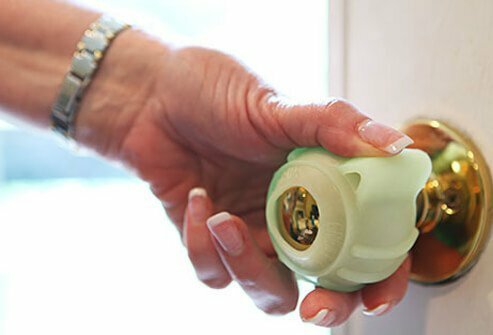 Alternatively, you can place rubber grips over existing doorknobs so you can open and close doors more easily. The grips slip easily on and off so you can use them when staying overnight at friends' and relatives' houses or at hotels. There are similar rubber grips that can be placed over water faucet handles, too. Similar grips are available to make opening medication bottles easier. If you have difficulty gripping objects or performing activities, seek help from an occupational therapist. Falls may be more common if you have MS. Take precautions to reduce your risk of falling by following these fall prevention tips. 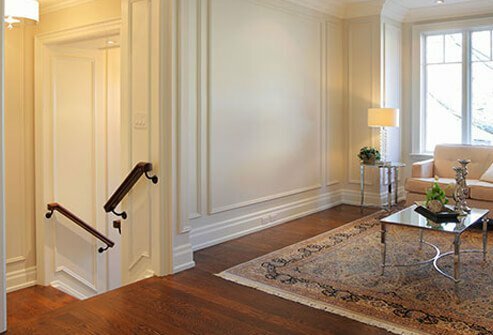 If possible, opt for smooth, non-skid flooring at home instead of carpet. Get rid of throw rugs. If you insist on keeping throw rugs, install non-slip mats or double-sided carpet tape to secure them to the floor. Secure electrical and computer cords out of the way. Do the same with cords for curtains and shades. Declutter walking paths so you do not inadvertently trip and fall, which may lead to hip fractures and other fall-related injuries. People who are aging and have osteoporosis may be at even greater risk for falls and fractures. Older people who suffer a fracture are at risk for long periods of immobility and conditions like pneumonia, which may be fatal. If you have MS, it is important to have an awareness of these risks. Exercise caution and use this information to create a fall prevention program. MS can negatively affect your vision, but you can make objects in your environment easier to see by employing the power of contrast. Basically, it is easier to see when there is a contrast between light and dark objects. Use this to your advantage. Apply colored tape or paint in a contrasting color on appliance knobs, light switches, and handles. You can use this trick to mark lines on a measuring cup. Chop dark-colored veggies on a light-colored cutting board where you can see them more easily. Help prevent tripping on the stairs by marking the edges with tape in a contrasting color. This will aid fall prevention. Vision problems are a risk factor for falls and other injuries. Glare and low lighting are risk factors for falls, injuries, and accidents. Reduce these risks by minimizing glare and ensuring your home has adequate lighting. Install night lights to illuminate walking paths and in the bathroom to make nighttime activities safer. 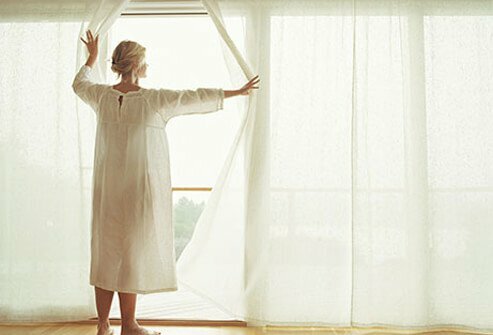 If glare from incoming sunlight interferes with vision, install blinds or sheer curtains to block it out. When reading or doing tasks such as needlework or other hobbies that require you to see fine details, ensure you have adequate lighting overhead or over your shoulder to avoid shadows. Fluorescent bulbs may cause glare. Replace them with incandescent bulbs. Problems with vision and/or balance may be an issue when you have MS and may make you unsteady. If so, steady yourself when you move around. Hold on to furniture or the wall, if you can. Install handrails in hallways and stairs to hold onto. In general, it is best to keep doors all the way shut or wide open so you do not reach for a door that may move when you grab it. Following these guidelines increases safety and may reduce your risk of falling. If you have MS, it may be more difficult for you to get up and down stairs. Make sure your handrails and banister are steady so you have something to hold onto. This helps eliminate fall risk. You can also consider installing a ramp. It should be approximately 30 to 40 inches wide and should rise no more than 1 inch per foot. Make sure any ramp you install has handrails on both sides for extra stability. If it is not possible to install a ramp, consider a platform or electric chair lift. Both Medicare and Medicaid and most health insurance companies may help partially with the cost of these modifications. For further information about how to prevent falls, visit the Fall Prevention Center of excellence (http://stopfalls.org/) for strategies for reducing fall risks for both aging adults and caregivers. The National Falls Prevention Resource Center from the National Council on Aging (https://www.ncoa.org/healthy-aging/falls-prevention/) offers information about evidence-based falls prevention programs. The US Centers for Disease Control and Prevention (CDC) Injury Center (https://www.cdc.gov/homeandrecreationalsafety/falls/index.html) provides information about how older adults can minimize the risk of falls. Take medications as directed and reach out to your health care practitioners if you are having new or troubling MS symptoms. Your practitioner may modify your medications or suggest other therapies that may help your condition.